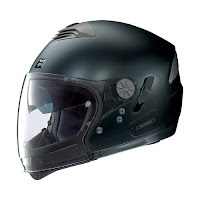 Nolan Helmets has been enormous in the motorcycle helmet world for close to 40 years and they've recently been getting a ton of recognition in the industry for their modulars. Nolan holds over 50% of the market share in Europe currently and it's because they produce solid lids. 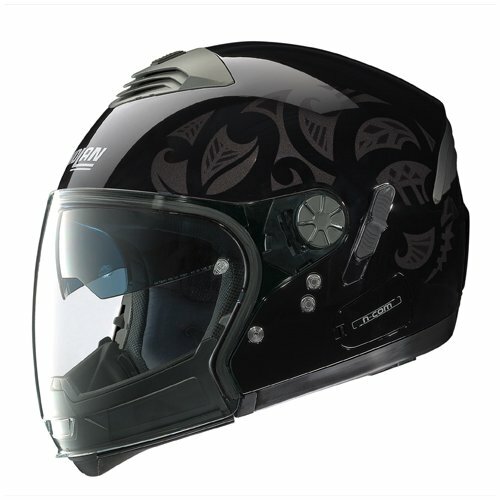 Today we're focusing on the Nolan N43 Trilogy Helmet, which is one of our top 3 bestselling modular helmets. It comes with the necessary parts to be configured six different ways which is something most other modular helmets cannot claim. Check out our full video review below. on the side of the helmet. 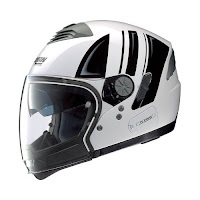 For configurations, Nolan includes a peak visor that can be installed. So for your six setups, you've got the normal, out-of-the-box full face; chin bar off; chin bar off with peak installed; chin bar off with peak installed and shield removed; chin bar off, shield off, peak off; chinbar on, shield off. That's the six possible configurations. Moving inside the helmet, you've got a Clima Comfort liner, which is removable and washable, antibacterial, antifungal and moisture-wicking. Great guts on this helmet. Another great Nolan feature is the Microlock adjustable quick-release retention chinstrap system, which is a ratcheting chinstrap closure mechanism. The chinstrap also features velour lining for comfort. A couple of guys around the office have this helmet and swear by it. The ventilation is excellent and its multiple configurations offer a ton of versatility. The face shield changes quickly and easily with a knob-turn, and the helmet is built to house Nolan's NCOM Communication System. All in all, we think the N43 Trilogy is an excellent lightweight modular helmet.